Decided to place my staple breakfast dish (oatmeal) on a hiatus and went with eggs. These were done in an omelet form. For the filling, I went a tad out of the box and reached for salsa in a jar. Shh! !……never bought the chips. It was deliberate Love me some salsa in my omelet. Served my oozing omelet on a bed of leftover Jamaican spinach (callaloo). And topped with nature’s butter (avocado) and fresh sliced tomatoes. For a contrasting taste, I couldn’t help myself. 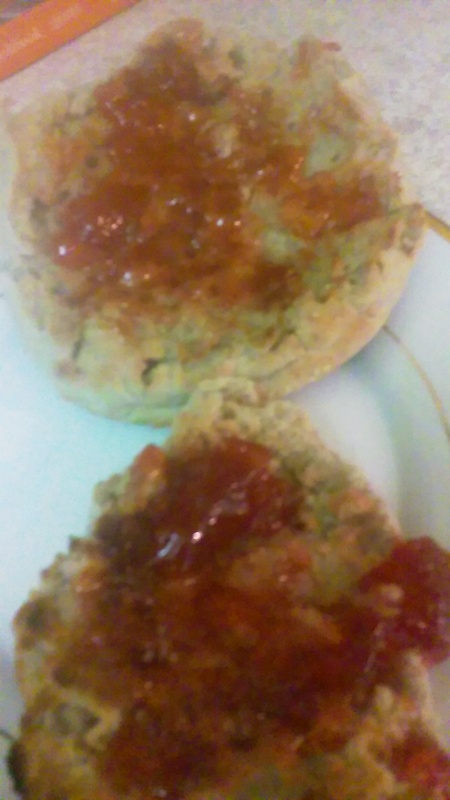 Toasted up an English muffin and added a sweet spread of strawberry jam. My salsa omelet was ‘kicking’ along with a sweet and crispy taste of English muffin. All was well.